Microsoft’s not the only company using AI to improve the quality of its services. Google, in marking the 20th anniversary of Google search, announced its own plans to tap artificial intelligence, including enticing you to interact more with its rebranded, deeper Discover activity feed and other services. 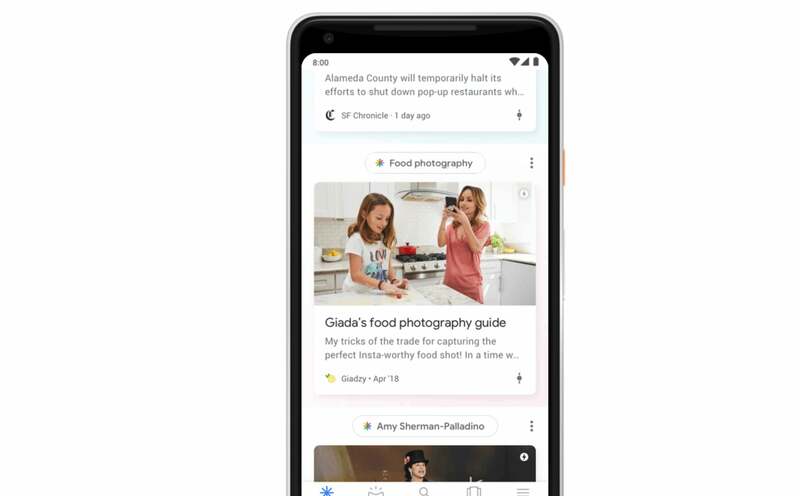 Ben Gomes, the vice president in charge of Search and the Google Assistant, outlined several changes the company is making to enhance Google’s search algorithm. Interestingly, the majority of the changes seem slated to appear within Google’s mobile app. 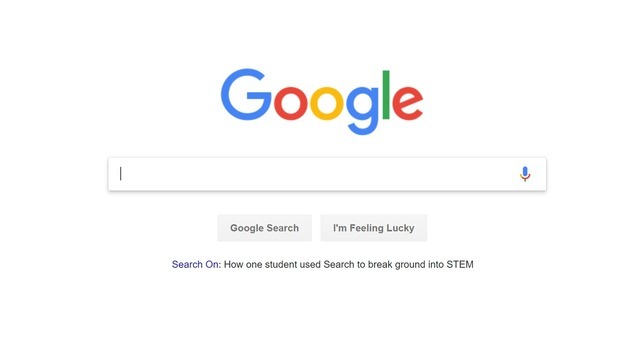 Most also seem to involve getting you to interact more with Google’s services, so the search algorithm can learn more about you—and make smarter guesses about what you’ll engage with more, for instance. Gomes wrote that a full 15 percent of everyday queries are completely unknown to the Google search algorithm. Why this matters: Artificial intelligence (AI) seems to be the new watchword at companies like Google, Microsoft and others: sprinkle a little AI on a feature, and watch its engagement grow. In this case, there’s a benefit—cool stuff!—and a cost: You have to be signed in to Google’s services, which some people avoid for privacy’s sake. In fact, it’s interesting that Google announced this today, as there was yet another flap over Google’s latest privacy snafu. Here’s a short list of the changes you’ll see within Google’s search algorithm. You’re probably aware of how to access your Search History on a desktop browser: CTRL+ H, typically. But when you try to dig out a site you’ve searched for previously, it can be a chore: You’ll have to manually enter terms in the search box and try to remember which pages led you where. Google’s history cards will display if Google thinks they’re relevant. 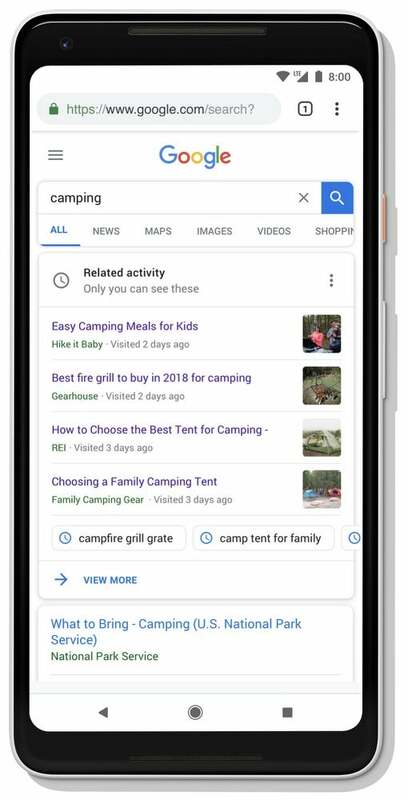 Later this year, the Search box will reveal cards that link back to your previous searches, “when it’s useful,” Google says. The idea is very similar to Microsoft’s “pick up where you left off” language, which it’s used to describe the Windows Timeline feature—in fact, Google used this same phrase when describing its new Search features. If you’ve ever searched for a topic over time, you might forget what you saw, and where. Old fogies might be tempted to use a browser bookmark to remember their place, but Google has a new name for this: Collections. It will debut later this fall. Want to store a page for later? Try a bookmark Collections. Instead of putting a webpage in a bookmark, or a folder of bookmarks, you assign a search card to a Collection of given topics. As Collections seem like just a reimagining of the bookmark process, the process sounds pretty similar. One of the innovations that Yahoo brought to search before ceding it to Bing was its emphasis on searching through exploration: Yahoo’s algorithmically generated homepages would encourage you to click a topic and explore it, generating more and more clicks as you delved deeper. Google offers something similar: its Feed, accessible by clicking on the search box within an Android phone. Google’s activity feed of things it algorithmically thinks you’ll like: Discover. The cards that the Discover feed shows you will offer different ways of interacting with it. A flower-like Discover icon allows you to drill down. A little, unnamed control panel icon will push more or less content to your feed—your choice. 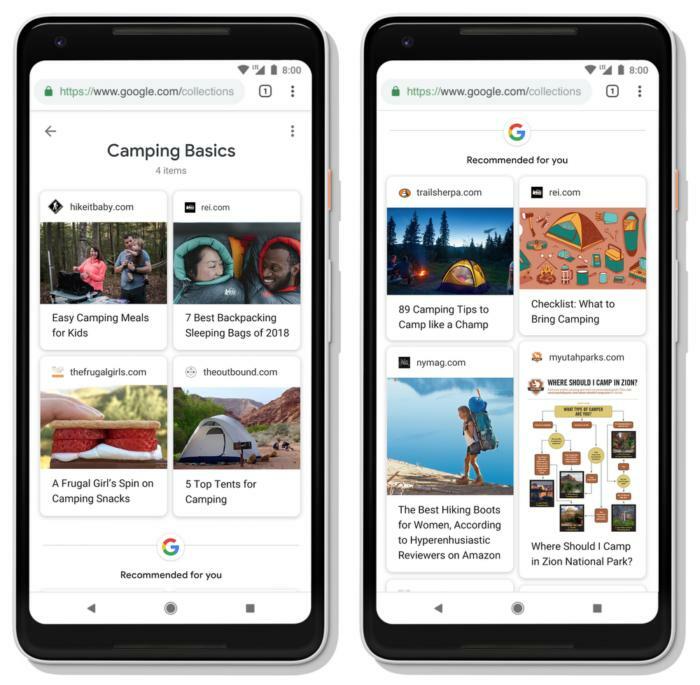 If you’re starting to explore a given topic or location, Google may consider some of the content to be “evergreen,” and relevant even if it’s a few weeks or months old. And if you speak multiple languages—based on your searches—Google’s will try to figure that out, too. One of Microsoft’s responses to our story on how Bing has lost its way was that one of the innovations within Bing’s image search was its ability to pull out elements of an image, such as a pair of shoes in a photo of a living room, and use that as the basis of an entirely new search. Now Google says it will bring the same ability to Google Images (via a feature called Lens) in the coming weeks. Google also said the company would now do a better job of suggesting videos to illustrate what you’re searching for. In all, using AI to enhance the way in which Google interacts with you is nothing new. The real test will be how much you interact with Google, based upon its new search features.